First of all, i would like to thank you so much for my first bike fit. i been riding for about 5 years now and never got a bike fit except at the store, how toll are you, so you ride a 50 or 52. here it is this bike is perfect for you. The moment i met with you i was so impressed, your studio was so organized and clean. i can see how much you care about the rider, the riders goals, and after all information you get to work and make sure the shoes are correct, the seat, handlebars, breaks, angles, etc,etc...you detail to a perfect fit is outstanding. 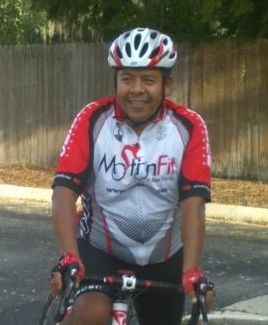 you also mention to me the changes will take time, but after riding 40 miles and 30 miles after you fit, i did not feel the issues that i had before. For anyone looking to get a bike fit, most definitely i would suggest Coach Kameel for his experience and extreme detail to customer satisfaction.